A couple’s worst nightmare during their wedding reception is to see their guests glued to their phones or falling asleep. All the games that couples have come up with to keep their guests entertained unfortunately only works for a couple of minutes or not at all since they are so heavily overused. Having a “bar” at your wedding reception is the latest trend and they are sure to keep your guests impressed for quite a while! A much needed perk-me-up for you and the guests who have come a long way to celebrate your wonderful day. Let them be their own barista for a day and create the perfect caffeine-fix that they need! Instead of giving everyone standard wedding favours, it is much more meaningful to hire an on-site caricature to create personalised gifts for all your guests. 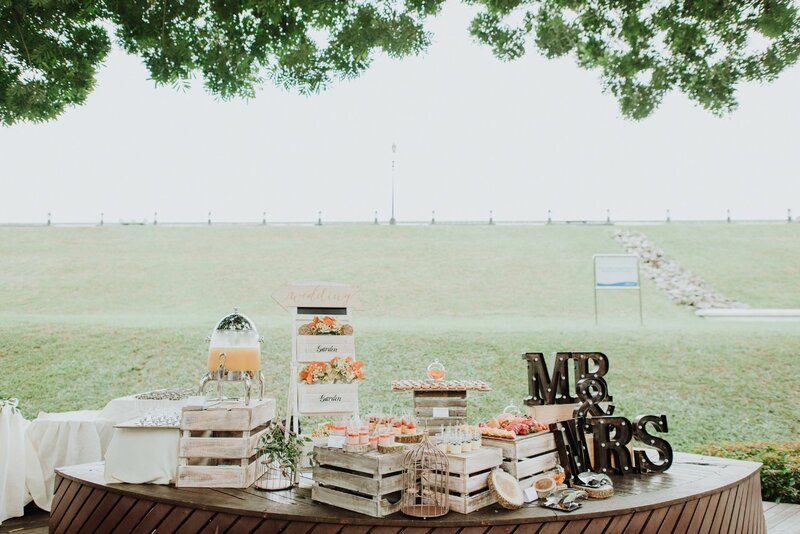 This thoughtful addition will definitely get all your guests attention! Flowers come hand in hand with weddings and having a flower bar is a brilliant idea if you want these colourful blooms to spice up your wedding venue but don’t want them to go to waste. Simply display a variety of flowers and let your guests come up with their own flower arrangements in a vase. You can be sure all the ladies will be swarming to this corner! FOOD FOOD AND MORE FOOD!! If you could only count on one thing to keep people busy, food always does the trick. Go for some light finger food like a kueh piety or tacos that are easy to DIY and doesn’t require too many ingredients! Help your guests spice up their wedding look with a temporary tattoo station with a variety of designs from outright cheesy to mafia theme. Couples attending your wedding will definitely seize the chance to get a matching tattoo! If budget is not a concern, you can even hire a temporary tattoo artist who can draw on customised designs according to your guests’ preference! For the alcohol-loving couples, a DIY mojito bar is a fantastic and classy idea! It will definitely keep your guests talking and trying to curate the perfect drink for themselves or each other. You might want to hire a bartender to stop them from getting one too many drinks though! Succulents are one of the longest-standing wedding favour ideas and frankly, people are starting to get bored of it. You can create a unique spin on it by asking your guests to build their own mini take-home terrariums! This will definitely get lots of people interested while you take a breather from the socialising. Skip the typical fancy dessert tables, a DIY cupcake/ donut bar adds a whole new level of fun into your dessert corner! It will be good to add some labels and instructions like those below to avoid any complications. Yet another fantastic alternative to the usual wedding favours. Calligraphy is gaining popularity really quickly and people love having it on all sorts of things. Your guests will be thrilled to have a calligrapher help them pen down their favourite quotes or poems into gorgeous prints! We are not sure if any vendor provides this service yet but this is really simply! You can assign every guest a plastic shrink sheet for them to draw up their designs and cut them out. All you need is a mini oven to heat up the cut outs and the charms will be ready in a couple of seconds! You can also provide empty hoops for them to turn their little creation into a keychain. This is definitely the best activity to keep your guests occupied whenever there’s any free time! 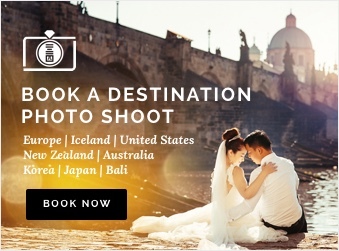 Now that you have your wedding activities all planned out, it will be a pity to not have an amazing photographer to capture the results of your efforts! We have a team of professional wedding photographers who are adept at seeking out the most picture-worthy moments during your big day. Find out more about our affordable wedding day packages! This or That: Should I Buy A Tuxedo or Suit For My Wedding?